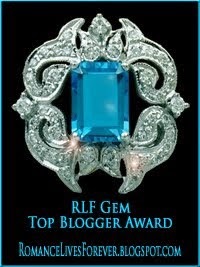 It's Retweet Day for MFRW on Twitter. All Marketing for Romance Writers are invited to set up tweets for their books. Go into Twitter and create a tweet. Make sure to use #MFRWauthor or #MFRWorg You can share up to 280 characters per tweet. Once the tweet has been posted, click anywhere in the white background of the tweet. This will open it and allow you to highlight and copy the URL. Navigate back to here and paste the URL in the comment section of this post. Each month, the RT post goes live the Monday before RT day. You can post your tweet until Wednesday of the same week. Retweet Day is on the second Wednesday of each month. Retweet everyone on the list who uses one of the hashtags. To help people find your tweet, click the the white background and then the down arrow (found on the right side). Choose "Pin to Your Profile Page." This will keep the tweet at the top of your Twitter feed so more people can find it. 2. Do not use profanity or sexual explicit graphics. Keep it for all age groups. 3. Please do not use adult topics. 4. Limit hashtags to three (3) per post. 6. Click the heart on the tweet and then the retweet symbol and the Retweet button. ** To share a tweet, highlight the url, right click, and you will see an option to open the link or go to the url. Do that, and it should open in a new window and take you there. Come back after sending the tweet and go through the entire list. Here's to a great day of retweets! Kayelle Allen writes Sci Fi with misbehaving robots, mythic heroes, role playing immortal gamers, and warriors who purr. She is the author of multiple books, novellas, and short stories. She's also a US Navy veteran and has been married so long she's tenured. Marketing for Romance Writers was created for a group of romance writers, but quickly gained members in every sort of genre. As writers, one thing we all have in common is the need to create strong characters. To that end, here is a questionnaire you can use to get to know the people in your story. Your character is at a party. Considering his story, describe the party. How does the character feel about being this particular party, and what body language is he displaying that gives it away? The character figures out where the hiding places are and then goes there. Is it to hide, to avoid someone, or to go drag a friend back to the party? If someone picked a fight at this party, how is the character going to handle it? Is the character the one most likely to get tossed out of the party, or the one who does the tossing? This is not an exhaustive list of questions, but it should give you some insight into creating a unique and memorable character. 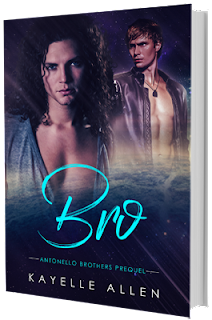 Come share your character on my book blog, Romance Lives Forever. Readers find something new every day on RLF. www.rlfblog.com Look for Signup in the menu. You can set your own date and even get automated reminders. 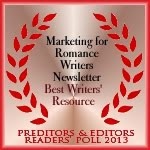 MFRW Marketing Blog is the blog home of the Marketing for Romance Writers Yahoo! Group. We created the blog for our members. ALL authors, published or not, in fiction or not, in ALL genres, are welcome. We discuss advancing our careers, brainstorm ideas, get feedback, and find others interested in promo. This blog is intended to be an information hub for writers. Here, we share our writing tips, marketing advice, workshops and other info to encourage the success of our members. 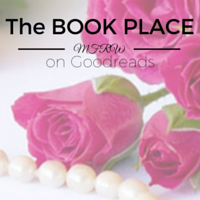 Follow Marketing For Romance Writers (MFRW)'s board MFRW Authors on Pinterest. Header and badges by The Author's Secret. Awesome Inc. theme. Powered by Blogger.